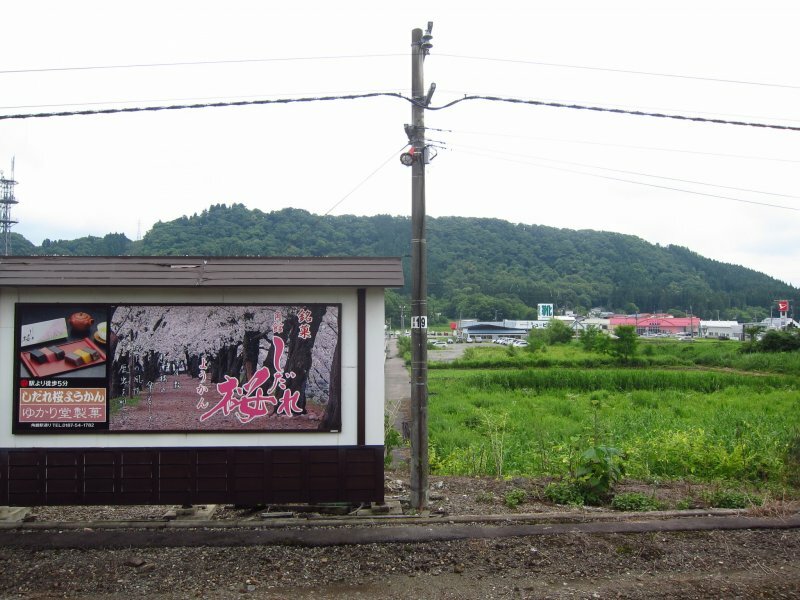 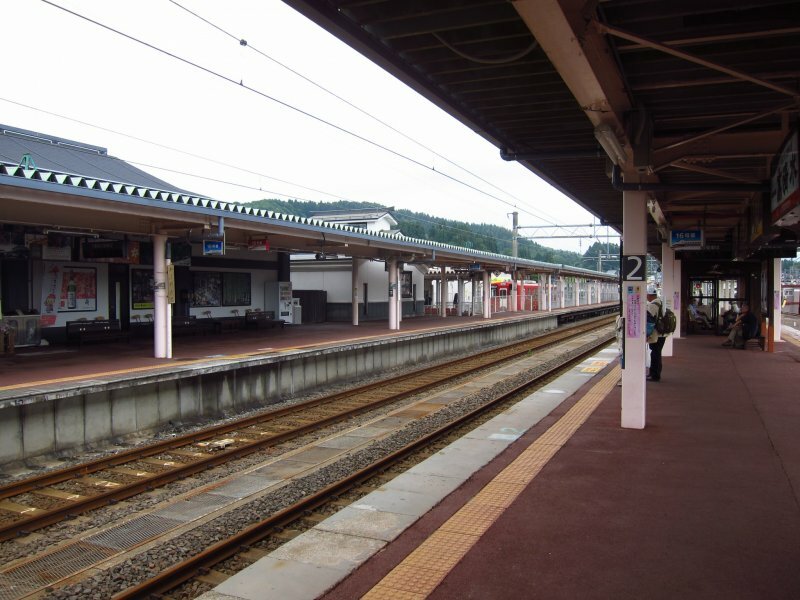 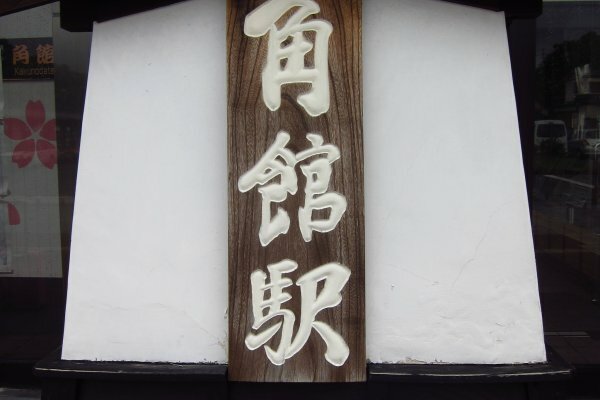 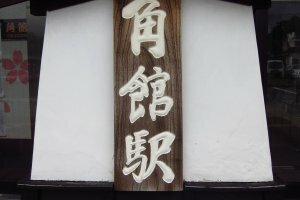 The gateway to the Samurai village, JR Kakunodate Station is located on the Akita Shinkansen Line. 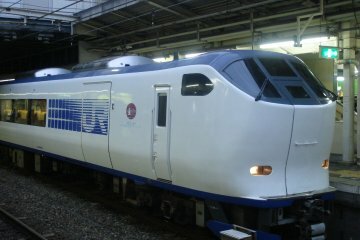 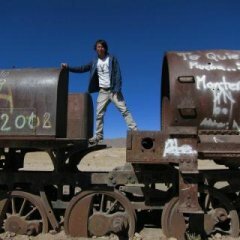 It takes around 2 hours to get to Kakunodate from Tokyo Station on the Akita Shinkansen. 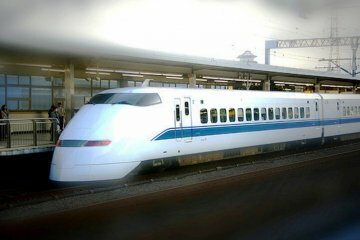 There are departures daily from 6am onwards and if you are pressed for time, I'll recommend catching the new Super Komachi Shinkansen from Tokyo instead of the regular Komachi Shinkansen as it shaves 30 minutes off your travel time. 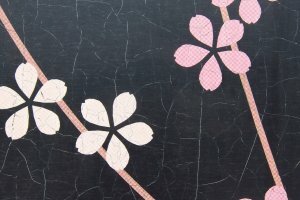 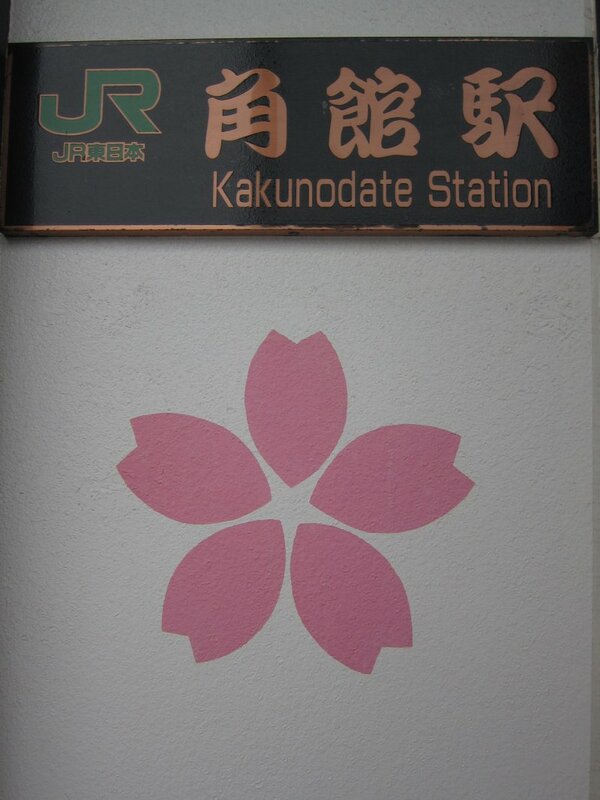 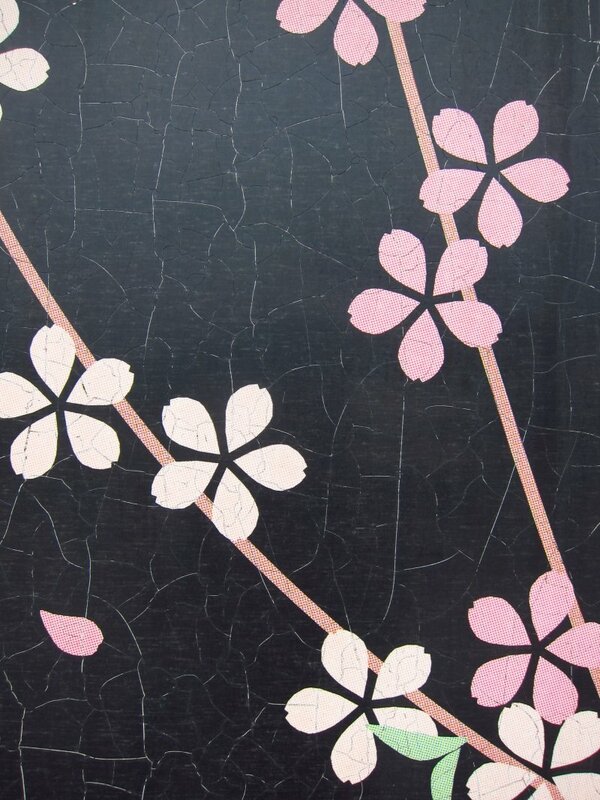 Besides being a Samurai stronghold, Kakunodate is famous for its graceful low hanging cherry blossoms as well and this is reflected in the exterior design of Kakunodate Station where you can find images of radiant pink flower designs plastered on the walls of the station. 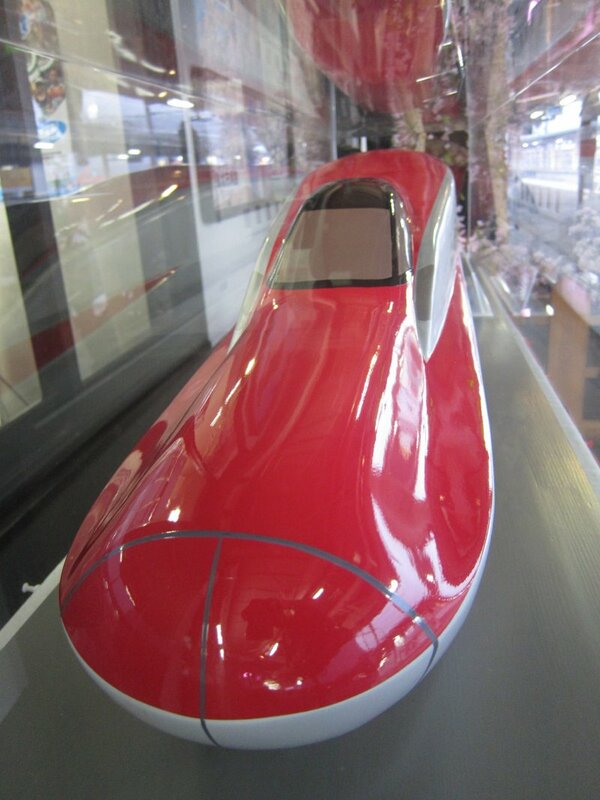 But if you are expecting to see a mega terminal like those in Tokyo, you should probably brace yourself for a surprise. 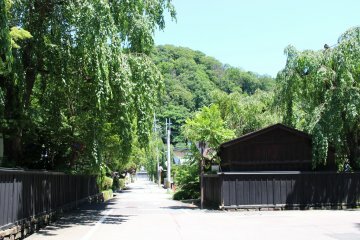 This is because just behind JR Kakunodate Station, there are rows and rows of rice paddy fields. 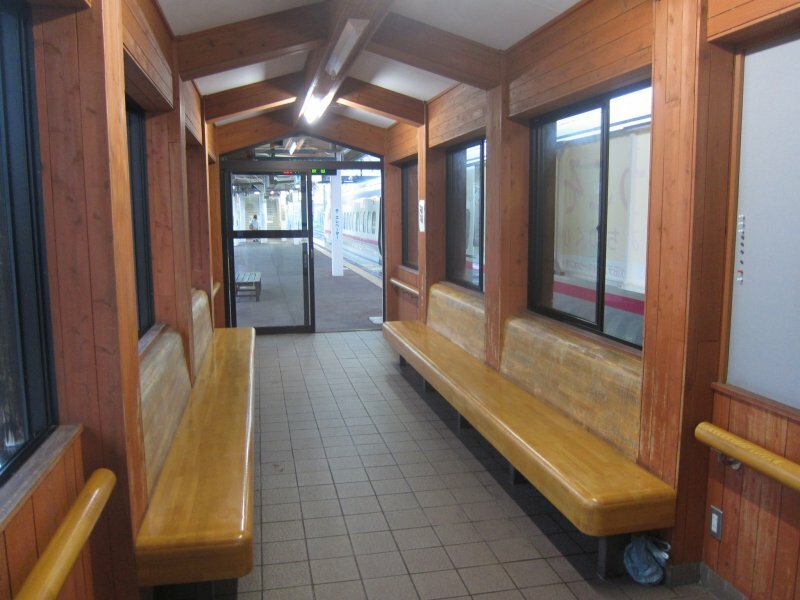 In the station, the rest area gives off a rustic vibe with its wooden chairs and décor. 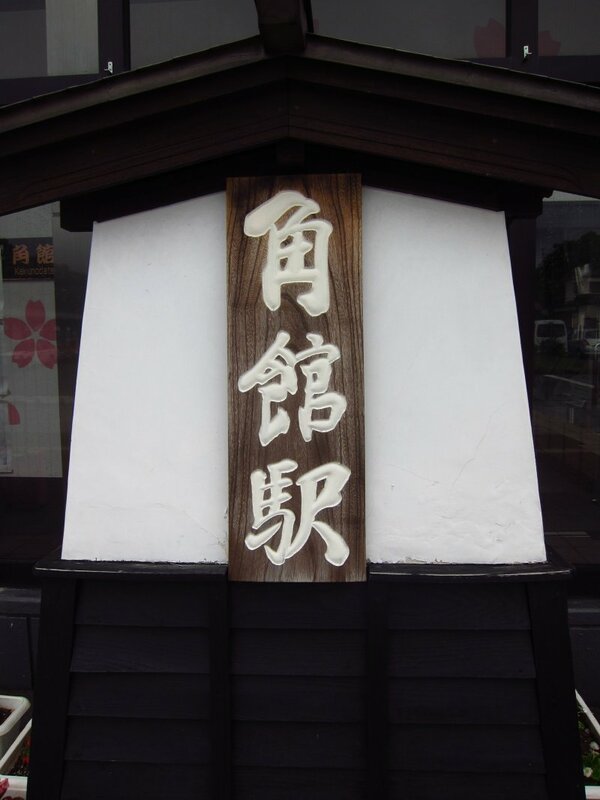 It does feel like being transported back in time to the samurai past. 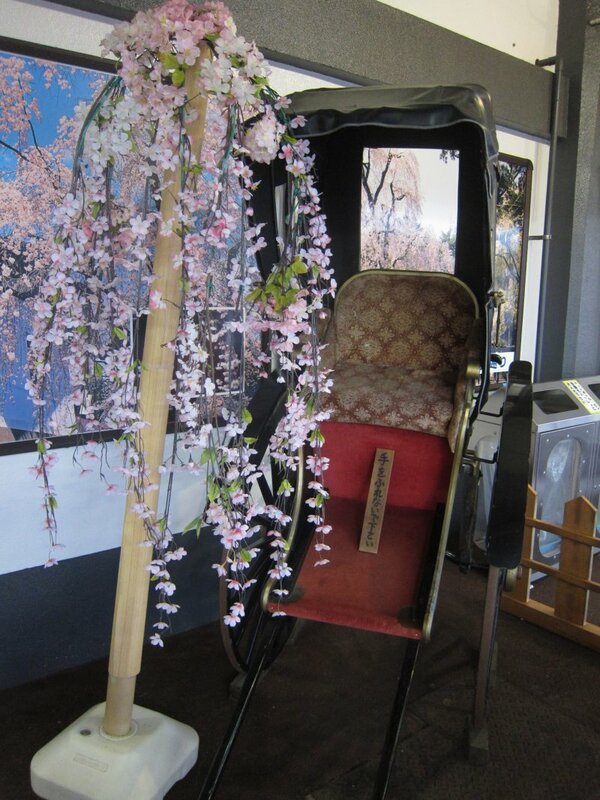 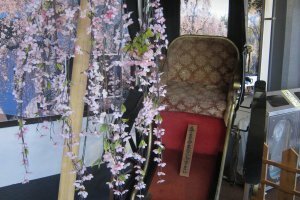 There is also a rickshaw on display in the station itself and in the past this was the form of transport for the people of Kakunodate. 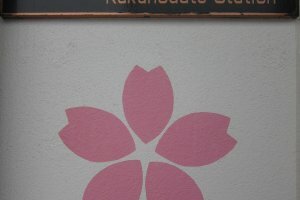 Given the simplicity of the station, I was still amazed with how Japanese managed to put indentations on signs and instructions. 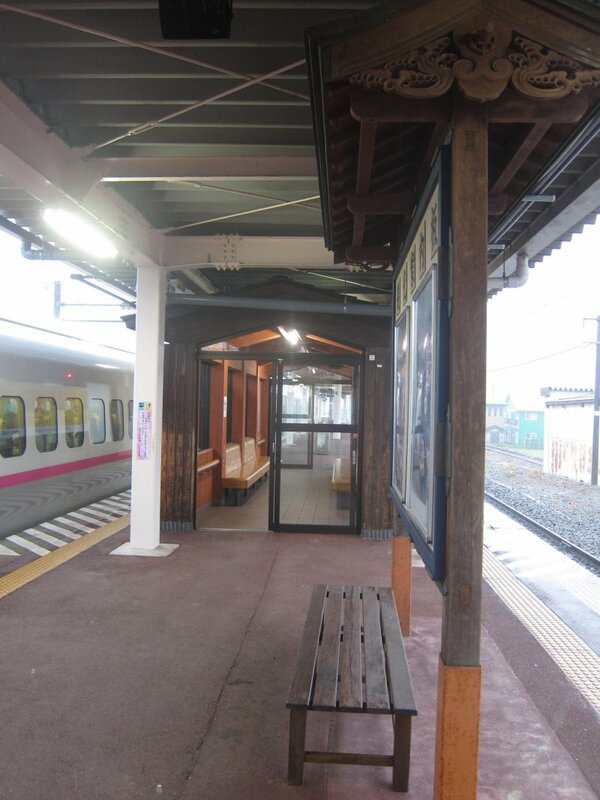 This is to help those who are visually handicapped find their way around the station and I honestly appreciate the efforts that were made in having this in stations as far off as Kakunodate. 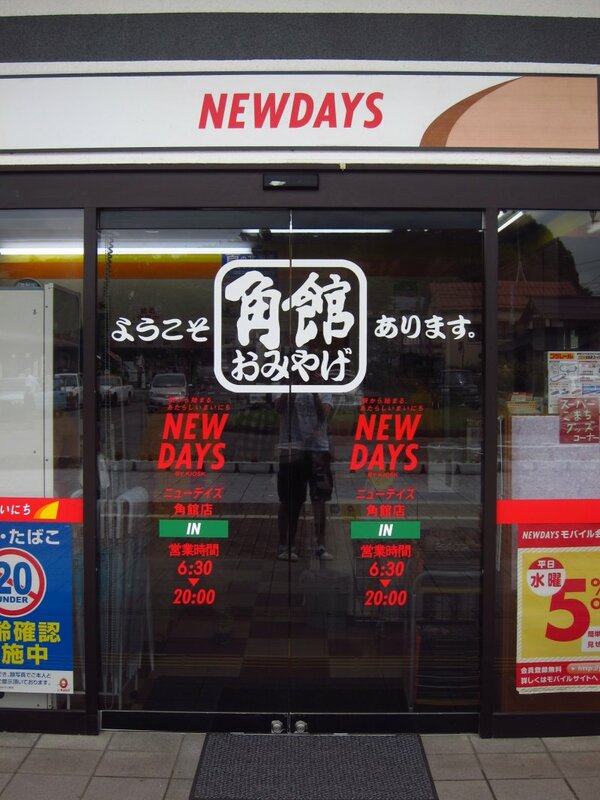 Outside the station and just opposite the JR counter, there is a Newsday convenience store for you to stock up, or alternatively pop in to Yamaya Ryokan's Noodle Shop just 20 meters away from the station exit. 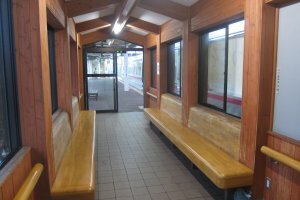 Located just 40 minutes away from Akita Terminal via Shinkansen, you can expect a number of day trippers coming to Kakunodate from Akita City and more often than not, they would use the lockers that are available at the side of the station to put their bags in. 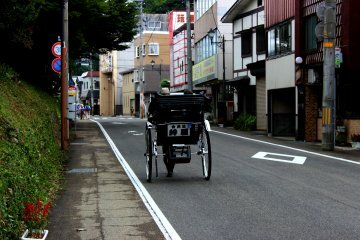 Taking only their essentials (ie. 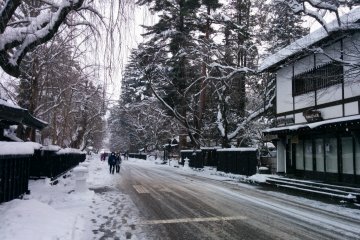 Camera, wallet etc) and then venturing off to the Samurai Village. 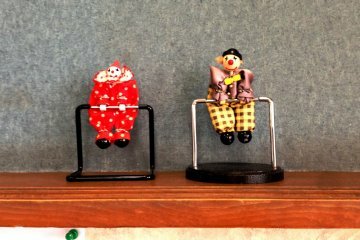 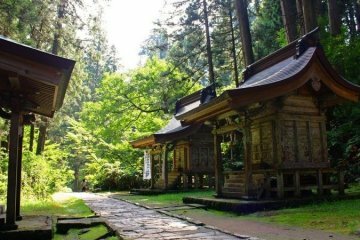 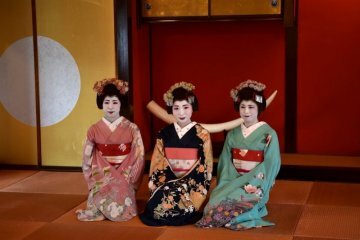 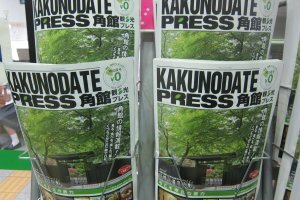 Likewise, you can do the same too by staying in Akita City (transport hub for visits around the Tohoku Region) and come by Kakunodate on a day trip. 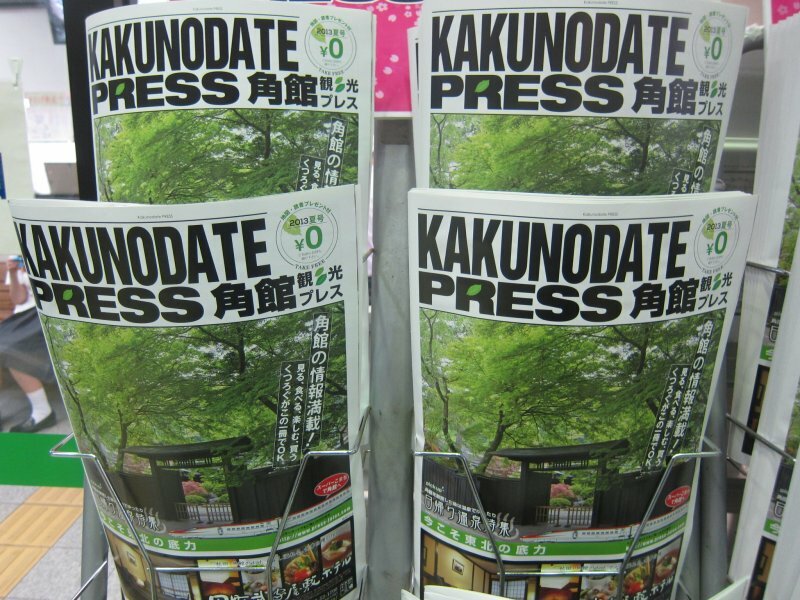 Lastly, if you need any travel information, do drop by the Tourist Travel Centre located to the right of JR Kakunodate station for they come stocked with a wealth of information about Kakunodate and Semboku City in general. 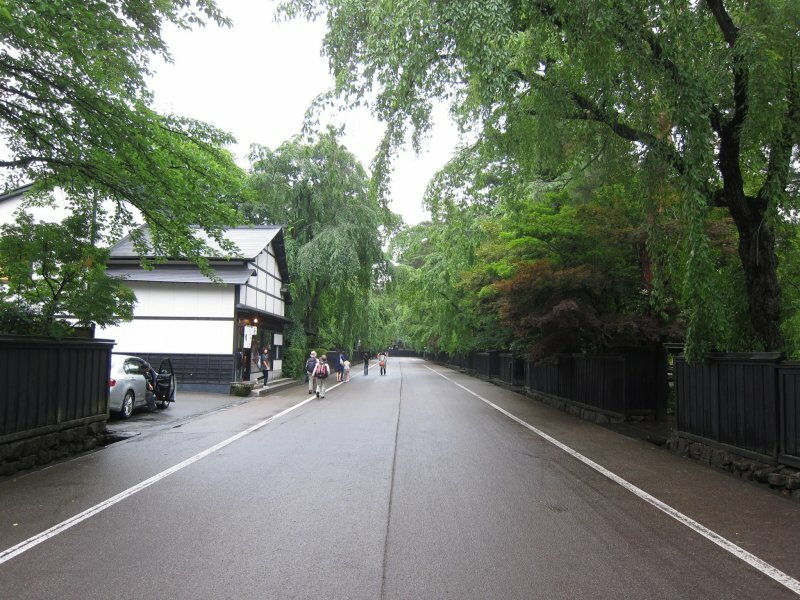 Check out the maps of Kakunodate that the information center will provide and you will realise the Samurai Village is actually just a ten minute walk away!